Briefs are an everyday, unisex choice that offer both ambulatory and sedentary individuals a tailored fit in a full-coverage product. 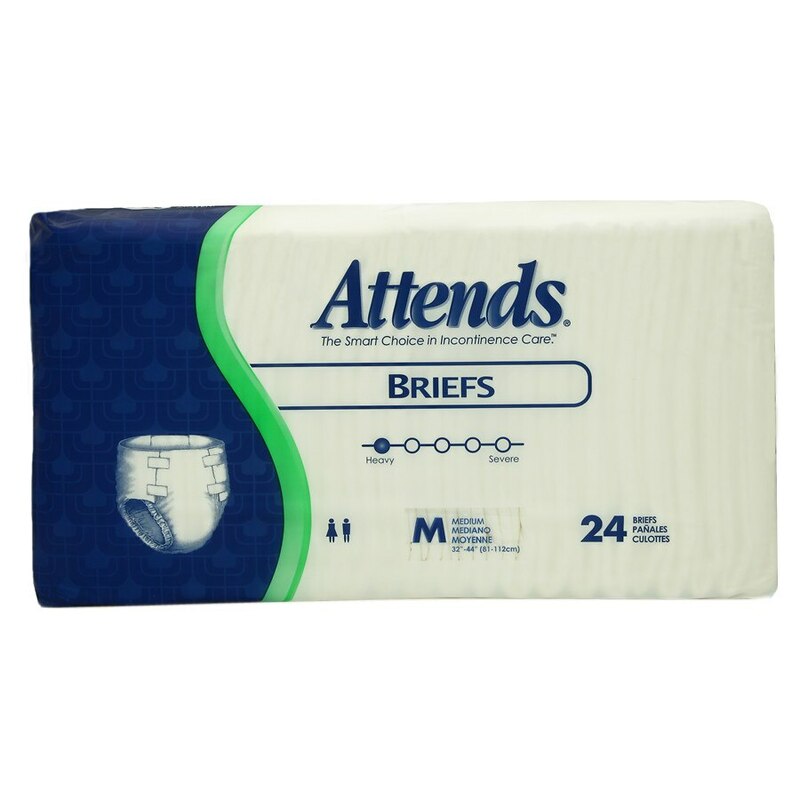 These individuals may choose Attends® Briefs with poly backing when they require reliable containment without the additional benefit of breathability: enhanced skin care. Unit Pack: 4 bags of 24. Easy-fit tape tabs re-fasten without tearing.